The Instinctive Feng Shui Interior Alignment® certification program is a 56 hour program that gives you the experience of working on your own home, while teaching you professional level information and the techniques to work with clients in persona and in distance consultations. "LuAnn is an amazing teacher. I received my Advanced Interior Alignment Certificate from her in 2006 and she continues to be there for me with love and support. Those who receive her services will experience a blessed sparkle." You are invited to a unique and memorable experience, immerse yourself in the study of Instinctive Feng Shui course at a beautiful, and energetically powerful location. I have always been drawn to Sedona. The gorgeous red rock desert is actually teaming with life, and energy vortexes are everywhere! Because of the altitude and lack of city light, star gazing here is spectacular. It's connection to the Native Americas is vibrantly alive with Native people offering beautiful crafts and handiwork. And if you love rocks and crystals, this is the mecca for finding some beauties and gasping at some amazing collections. 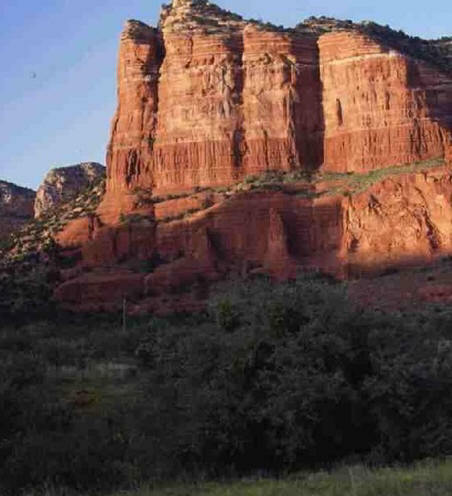 Sedona's beauty and energy allows you to step back, slow down, and absorb the learning. We will holding class at the Sedona Creative Life Center , close to uptown Sedona as well as and some amazing views! Learn by evaluating your own home and making changes and feeling the effects. the power of clutter clearing and how to be a clutter clearing coach for your clients, and MORE! workshop and seminar ideas, basic marketing concepts to launch your practice, and MORE! The course comes with an amazing Interior Alignment Practitioner manual, including our unique bagua for the Southern Hemisphere. TRANSFORM into the PRACTITIONER accessing your TALENTS and SKILLS! While the 'feng shui' trend is back on the rise, according to Hay House, and there is a significant rise in conscious living, and Interior Alignment is the system positioned to assist people in this way. We honor the old traditions while recognizing we live in a modern world. Our first class will begin on Monday morning at 9 am reviewing our lessons from the previous 6 weeks, and now adding on at the professional level. We will have class time from 9 am to 5:30 pm. Wednesday evening we will have an evening field trip that you don't want to miss. We will finish by 4pm Thursday with celebration and joy! Please do not plan to leave earlier than this. As a long time Interior Alignment® practitioner and teacher, member of the IA Foundation council since it's inception, and owner of a successful professional practice, I teach from information and experience. A visit to downtown Sedona and Telaquepaque to view the energy of art and architecture using a four element analysis. A trip to some great new age shops, Native American craft locations, and rock shops. We will be noticing the energy of each location, as well as perhaps some shopping! Class time held both indoors and outdoors. You can fly into either Flagstaff airport or the Phoenix airport . I encourage you to perhaps fly in the weekend before and maybe stay through the weekend after to make the most of your Sedona experience. If you fly into Phoenix, The Sedona airport shuttle is convenient and inexpensive. If you want to use your evenings for adventuring I would recommend renting a car, so you can do more exploring in the area. I will be creating a Facebook group for everyone planning to attend the class. As we do the 6 week course together prior to the onsite you will get to know each other well, and it could be great to share expenses and learning together. Tuition includes all materials needed and field trips during class times. It also includes 6 weeks of online programming prior to our onsite together. The onsite program has reading material, weekly lecture, sometimes some additional audio and video, and a homework assignment using your home. You don't have to change a thing, but you will be observing how the concepts in each lesson are present in your space. 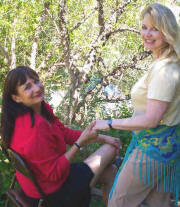 The tuition is only $2500, for a deeply experiential course in a peaceful and inspiring setting. The new Instinctive Feng Shui Interior Alignment manual rewritten in 2014, beautifully formatted in a stunning Red binder. All materials used in class, to create vision boards and other projects. I accept payment for course via check, but I can also accept Visa and MasterCard using Paypal online to for our students convenience. Register before June 30 for $300 discount! SPACE IS LIMITED! DON'T WAIT! Call me or email! I would love to hear from you! If cancellation is any time on or before June 30, a full refund will be issued, minus a $100 processing fee. If the cancellation after July 15 the deposit can be applied to an upcoming course, or a portion of the deposit may be refunded based on the amount of supplies that have already been purchased for the class. If the participant must cancel after Aug 15th, no refund on the course is issued. However the student may apply their tuition to a future certification course by LuAnn. A portion of the tuition may not be transferable based on the amount of materials and supplies that have already been purchased/reserved for the class.